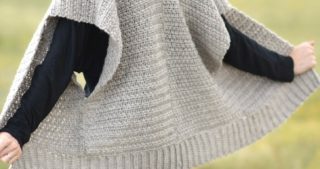 You’ll find that this afghan is easy to crochet as it’s made with a half double crochet herringbone stitch (tutorial here from New Stitch A Day) . However, I’ve put a twist on it by working the stitch through the back loop only which makes the ribbed look. 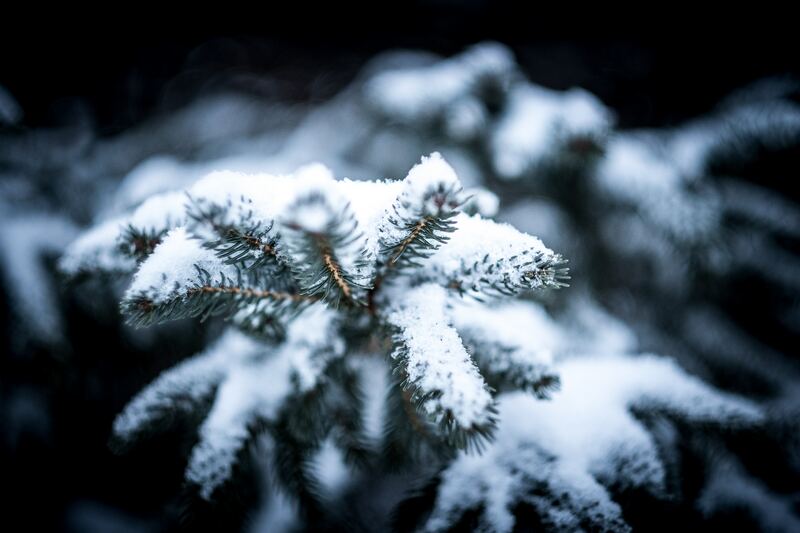 Doesn’t it create a cool texture? 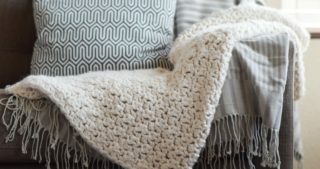 If you know how to half double crochet (one of the most basic stitches), then you can easily make this blanket. 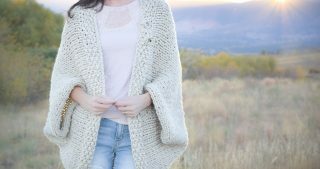 It uses super bulky yarn and a large crochet hook so it works up relatively quickly. The stitches almost appear to be little arrows facing in different directions on each row which I really like. You can of course make this afghan with any colors that you like, but of course I went with white for a classic, neutral, “wintery” look. 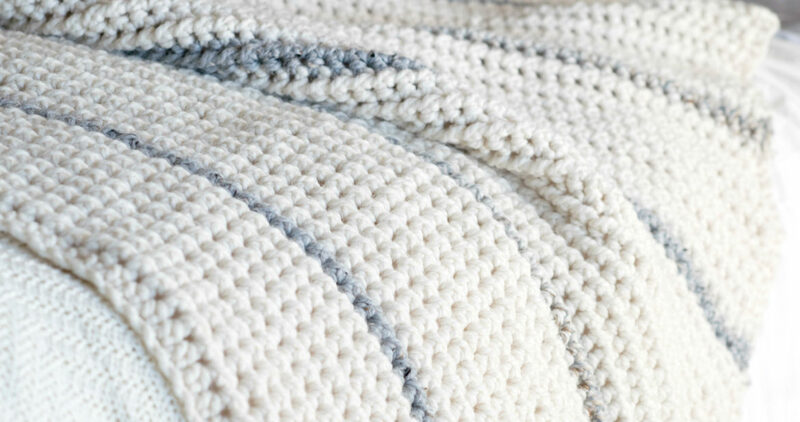 As I mentioned earlier, this blanket’s made with a wool blend yarn. However, you can substitute it with any super bulky yarn that you like as I know some folks have allergies to wool. Hometown USA (here) would make a good alternative and has a nice sheen. Let’s get started on this afghan! 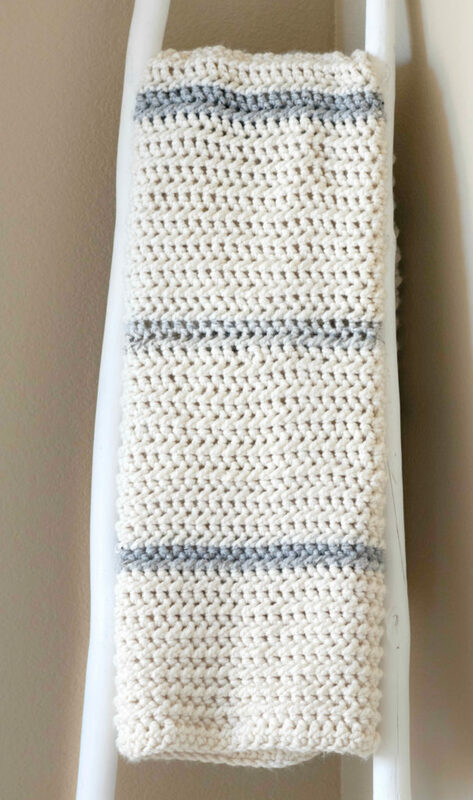 hhdc – herringbone half double crochet There is a terrific tutorial and video on the Herringbone Half Double Crochet Stitch from New Stitch A Day (HERE). For my pattern, you will be working this stitch through the back loop only. 2: Put hook into next stitch. 4: Yarn over, pull through remaining loops on hook. The fabric created in this pattern is reversible. As with any crocheted wool sweater or blanket, I suggest only washing this in your machine when absolutely necessary. It does hold up to washing, but over time will have piling as any product of this nature would. 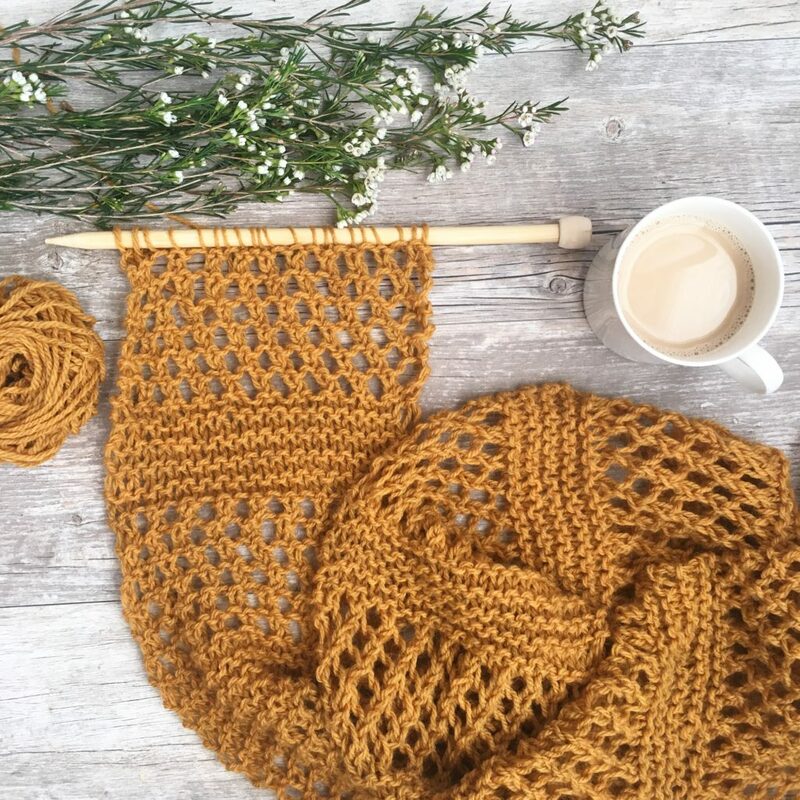 Tip: If you’re not experienced (or even if you are but you’d like to practice a small swatch of this pattern before beginning) you may chain 9 and follow rows 1 – 3, repeating row 3 as long as you’d like, to make sure your piece isn’t growing or shrinking. Be sure to count your stitches each row as losing or gaining a stitch is usually the cause of this problem. 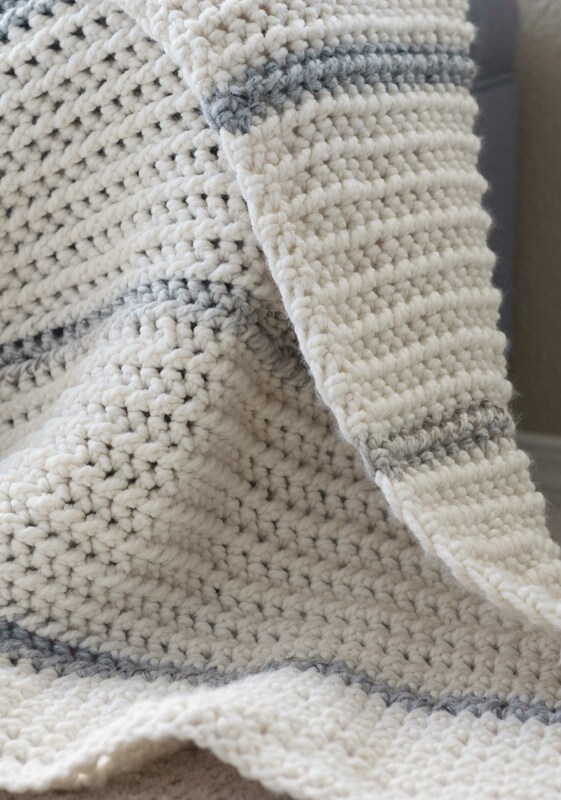 You may choose to add a border of single crochet or slip stitches (my personal favorite) around the blanket. Block to shape and size. Then cuddle up! That’s all there is to this cozy winter blanket! As always, I love to hear your thoughts and comments below! 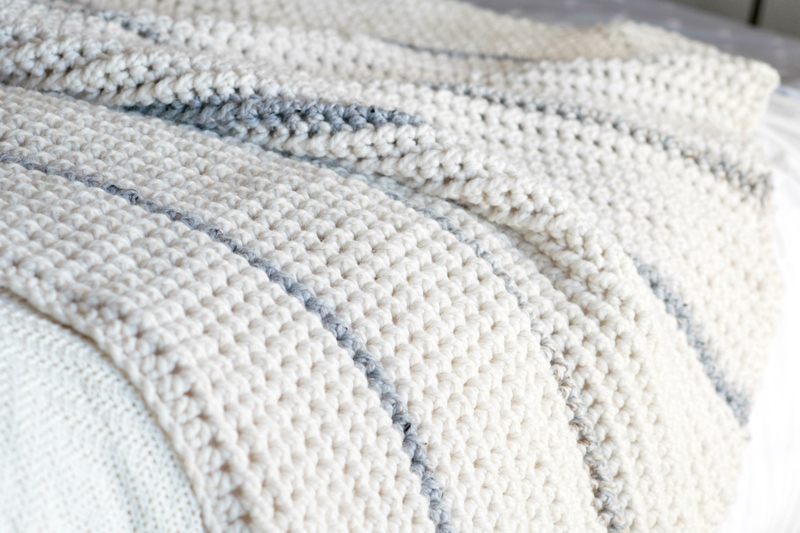 Are you in blanket making mode? I love all you work!! Have been following you for a while a while now!! 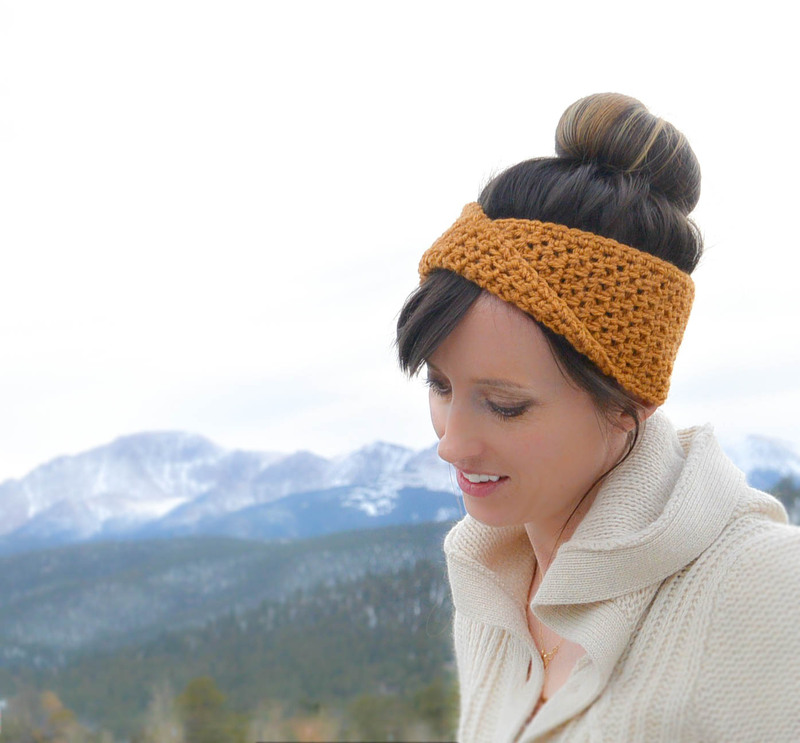 Your patterns and choices of yarn and colors give such a modern twist on crochet! This is not your grandma’s crochet! Jessica, you’ve always had good patterns and color choices and this crocheted blanket shows your talents are just getting better and better. Love all you do plus love your personality. Thanksgiving this year just wasn’t the same for me and my husband since our Grandkids are no longer kids and are developing and experiencing their own lives and couldn’t celebrate the day with us but not to fear, we’ll all be together for Christmas (yipee!!). Always the best to you and your family. Hi Jessica and Happy Holidays! 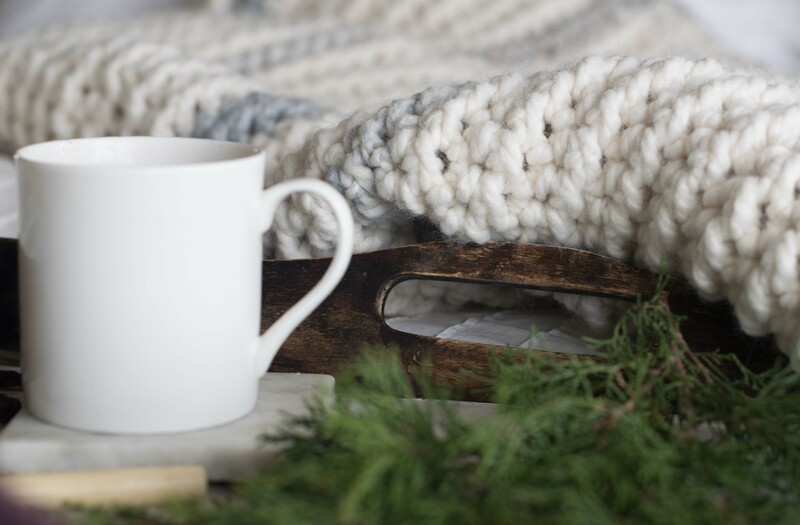 I love this simple blanket. I was just admiring a two strand bulky yarn blanket that my mother made for my sister and was stunned it was all in single crochet. 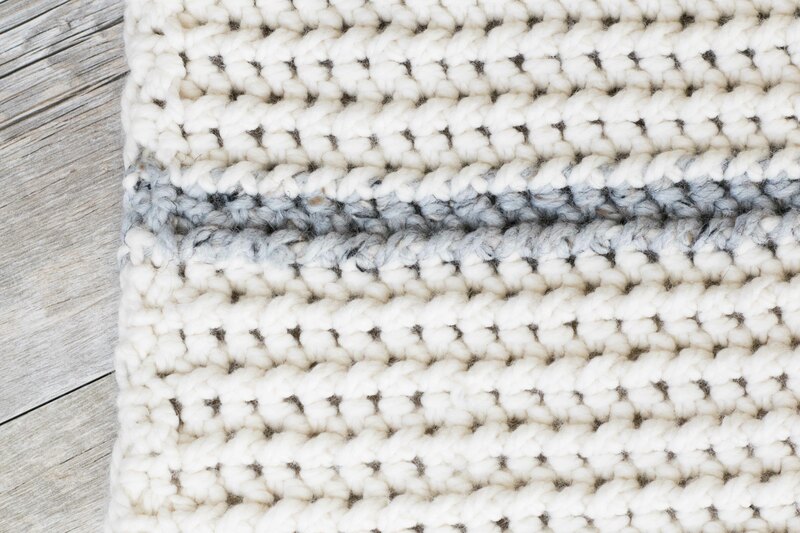 The half double is my favorite stitch because it lends a piece an added dimension. Funny that you read my mind and added a back loop to give it the herringbone pattern that I love! So lovely! This is exactly what I was looking for to give the bulky yarn project a new twist. Can’t wait to get my yarn and make this gorgeous blanket. Just started following you and love your crocheted pieces and tutorial. Love your sense of writing style, too. Thank you! 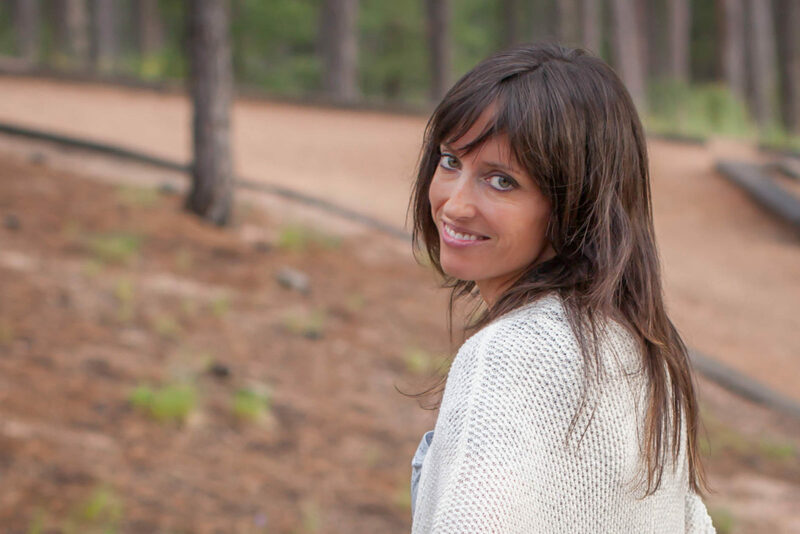 I just discovered your blog and I’m so glad I did! I made this blanket and it turned out great- I used oatmeal and a darker tan color (I would love to use white but it would never last in my house ha). The blanket was so quick- it only took me a couple days to make. I’m going to makee another for my grandma for Christmas :-). Also excited try you’re one day shawl! Awesome Amy!!! Thanks for letting me know and I love the colors you chose! This is so amazing! I’m excited to create this but wondering how long it took to make (total hours). I love this blanket but would like to try it in a larger size. Nah suggestions? Love this pattern , but how could I make it larger?